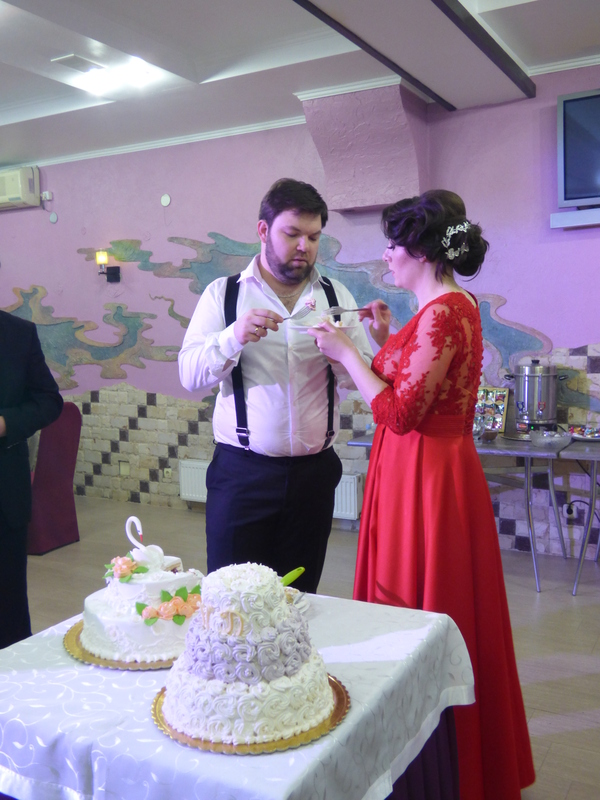 The bride (in red, a bit nontraditional) and groom (in white) cut the cake with their nanasi. 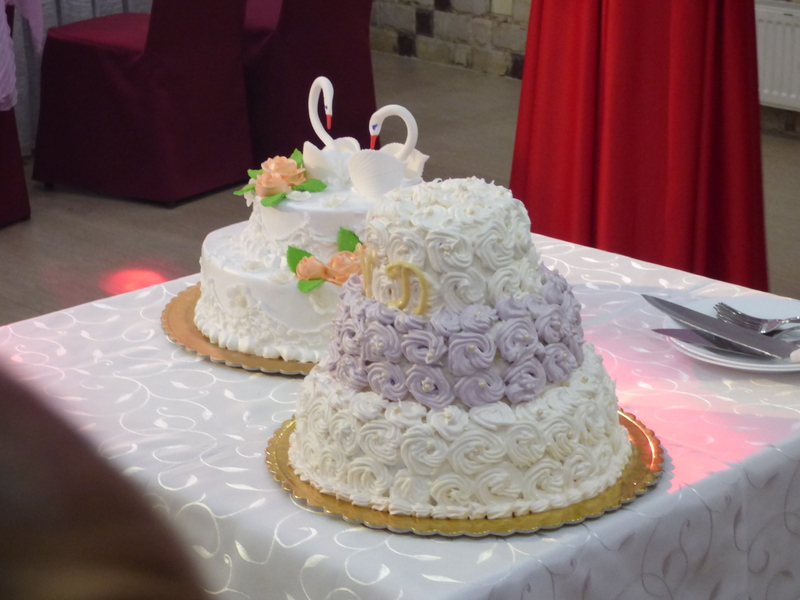 As in America, there is a tradition for the bride and groom to feed each other cake. 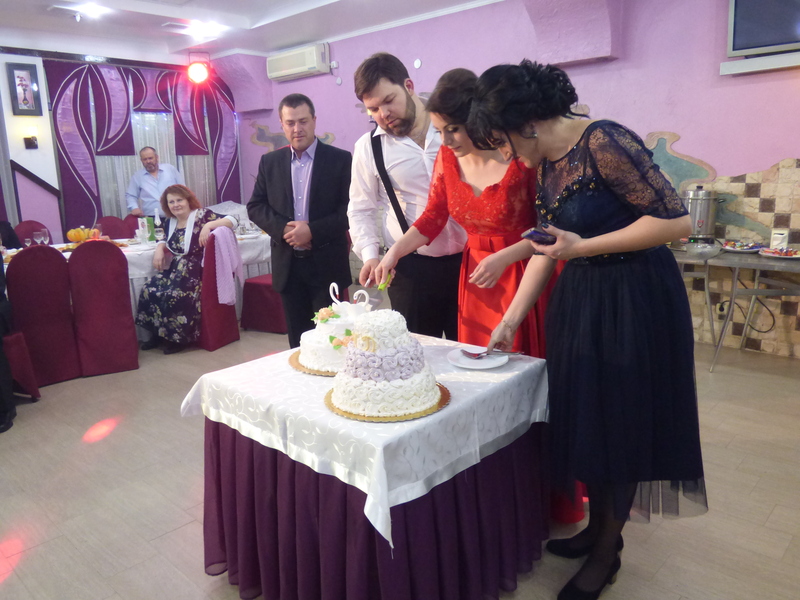 I was fortunate to attend my first Moldovan wedding just 3 weeks after I arrived in-country in 2016 (read about the wedding here). That time, my host parents were the new couple’s nanași (wedding godparents), so I was able to be super involved in the entire event: I helped the bride get dressed and ready, saw the traditions that occur at the bride’s parents’ house before the actual wedding, went to the church ceremony (normally only the immediate family members, maid of honor/best man, and nanași attend that), helped set up for the wedding reception, and was even in the official wedding photos! I’m pretty sure I may have been the equivalent of a bridesmaid, though I didn’t know I was going to be one. Most of my host mom’s extended family (minus most of the nieces and nephews). 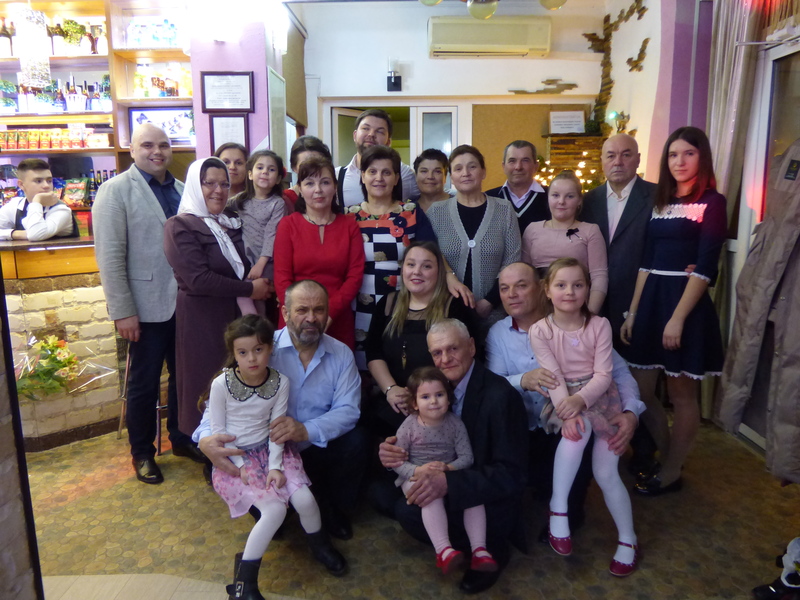 My host mom with her siblings and their spouses, plus some of the kids. 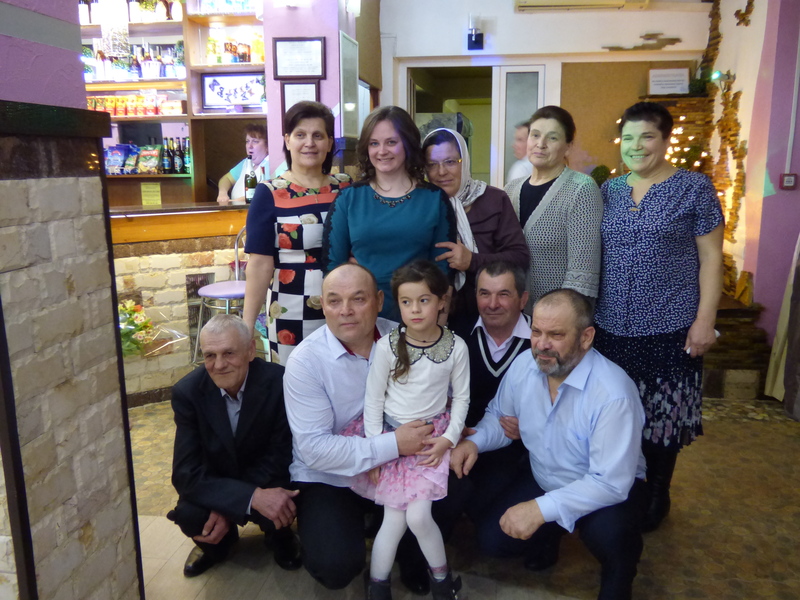 This past weekend, after a year and a half of living here, I went to my second Moldovan wedding. This time, my host cousin (my host mom’s nephew) got married and we only went to the wedding reception. It was a simple reception, with a fairly simple meal and some dancing. 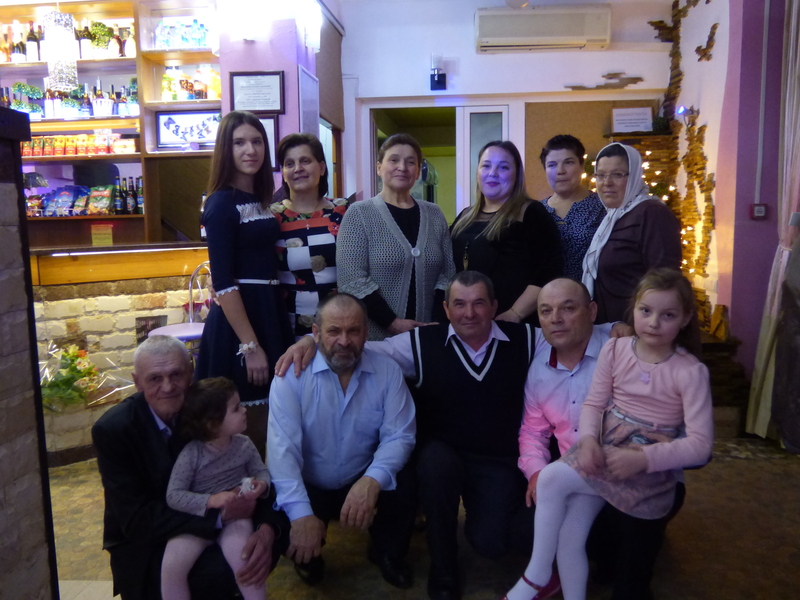 I enjoyed spending time with my host mom’s extended family, who are all very nice and welcoming. They often say I am “their American” even though I’ve only met some of them once or twice. My host nieces were there as well and I don’t get to see them often, so I was happy they were able to make it. Me with my host mom and her siblings and their spouses. 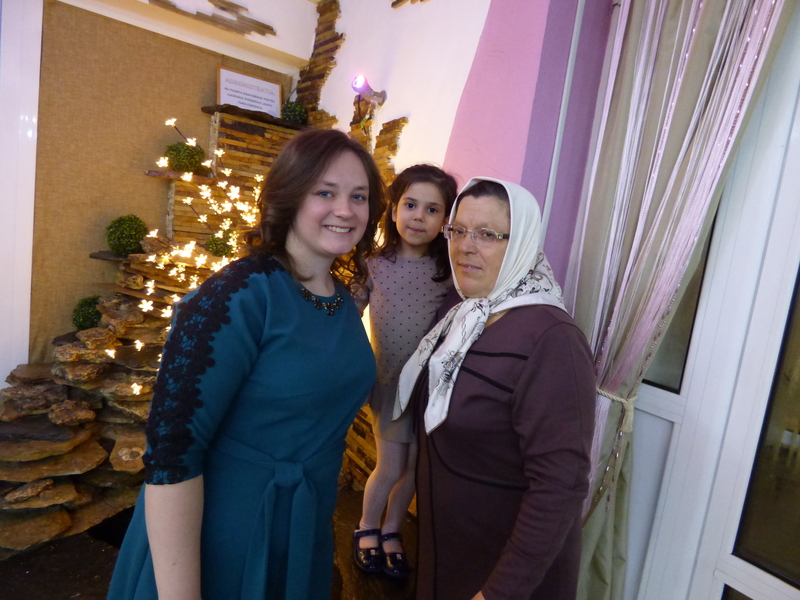 Me with my host mom and one of my host nieces. I had a good time, and was so happy to be included in this special family moment.